Here is TU B.Ed. Entrance Form Download that you need to give entrance exam of B.Ed. The form also available on official site of Tribhuvan University, Faculty of Education. 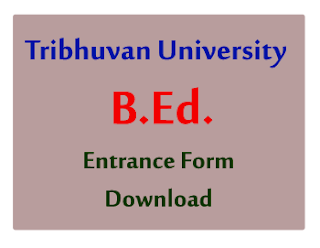 Follow the download link below to download this Entrance form of B.Ed. or you can watch it online before download. Check Entrance Form Below.